With today’s technology, it is possible to receive a great inspiring piano lessons at your own home. Free try out of Skype interview-conference is available. 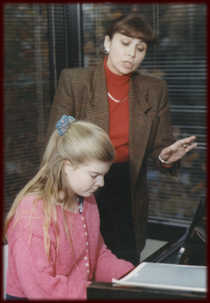 Mrs. Gorin now offers piano lessons in her private piano studio and at student's home in Incline Village, NV. LEARNING MUSIC HAS NEVER BEEN THIS MUCH FUN & EASY FOR YOUNGSTERS AND ADULTS! The combination of Russian & USA styles makes it possible. Mrs. Gorin's specific program was established in 1991, when she founded the nationally accredited Gorin School of Music in Mountain View, CA. 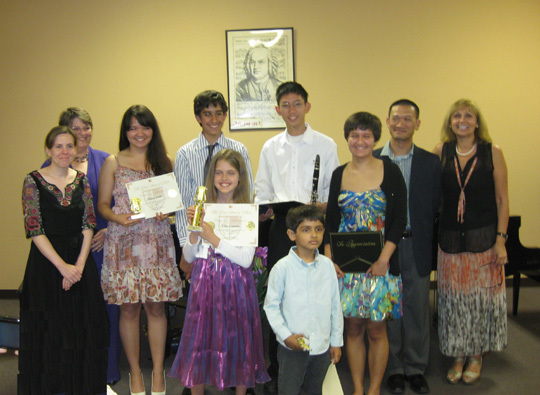 The program prides itself in teaching music comprehensively. Following the European tradition, the training in piano skills is combined with studies in theory, history, solfeggio, and ear training. Mrs. Gorin's main goals are to foster the love for music and at the same time to train students in piano skills. Thus, the students develop the knowledge, understanding and appreciation of music while advancing their technical and interpretive skills in piano performance. provide each student with fun/comprehensive way of learning the basics of reading music, the technical and interpretive skills of performance. individual instructions are available to adult students. It is never too late to learn, or to discover your talent while you are having fun. Advanced Piano Study for college music majors and professional musicians who would like to learn more about Russian technique using various methods of the European master-teachers such as Czerny, Leschetizky, Matthay, Neuhause, Lhevinne, etc., and helping them to get ready for evaluations and competitions.